Matt Baker is currently a Senior Lecturer in Chemistry at the University of Strathclyde. He leads the interdisciplinary Bioanalytical Science Research Group, focussing on uses of spectroscopy and spectrometry to interrogate the biochemistry of biological systems for diagnosis and detection of disease states, pathogenic bacteria and the development of next generation healthcare technologies. He is Co-I, Younger Members Lead and WP3 co-lead with Prof Nick Stone for the CLIRSPEC network. 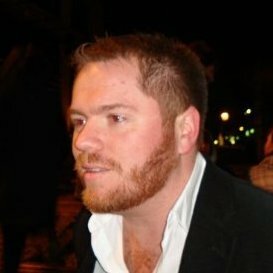 Matt’s research has delivered high impact peer-reviewed publications, a research focus article highlighting his work visiting academic / research fellow positions at 6 international institutions, multiple governmental presentations and reports and the establishment of an extensive international network throughout academia, government and industry. He currently holds visiting positions at Royal Preston Hospital NHS Trust and The Walton Centre NHS Trust where he is working to translate spectroscopy into the clinic.